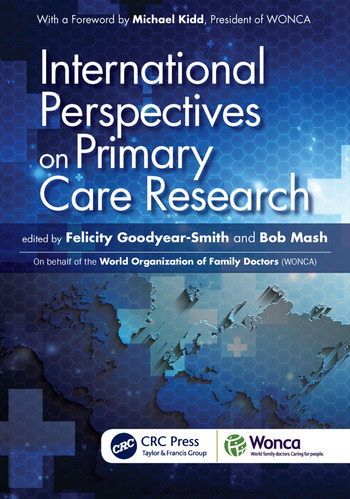 International Perspectives on Primary Care Research examines how the evidence base from primary care research can strengthen health care services and delivery, tackle the growing burden of disease, improve quality and safety, and increase a person-centred focus to health care. Demonstrating the inter-professional nature of the discipline, the book also features a section on cross-nation organisations and primary care networks supporting research. National perspectives are offered from researchers in 20 countries that form part of the World Organization of Family Doctors, providing case histories from research-rich to resource-poor nations that illustrate the range of research development and capacity building. This book argues the importance of primary care research, especially to policy makers, decision makers and funders in informing best practice, training primary health care providers and achieving equitable distribution of care. Who Conducts Primary Care Research? Effective Patient Involvement in Research: Why, Who and How?